Want to work with your community and make a difference to people’s lives? Our undergraduate degree lets you draw on your life and work experiences as the framework for reflective and collaborative learning, and provides you with the generic skills and knowledge to work in the social work and community development sectors. Are you after a career where you can help individuals, whānau/families, groups and communities to enhance their individual and collective wellbeing? Are you passionate about empowering people around you and working towards creating social change? The Bachelor of Social Practice will prepare you for employment and registration in social work and community development with basic skills in counselling. You’ll develop the ability to practice social work and community development with culturally diverse groups in an appropriate and inclusive manner. You’ll also develop a sound understanding of, and ability to promote, human rights, social justice and change, as well as empowerment and liberation of different groups and communities by promoting civil and legal rights. This programme is a social work qualification, which comprehensively trains students to be social practitioners who are able to apply their skills to the ever-changing demands of employers, clients and the community. Tailor the Bachelor of Social Practice to suit your career path in either social work or community development. This will allow you to develop and practise the skills you need to be work-ready when you graduate. Currently enrolled in our three-year Bachelor of Social Practice programme? Don't worry, you can still view your course details here. 1. Provide sufficient evidence of aptitude or appropriate work or other life experience that would indicate your success in the programme. Don't have NCEA? Check our programme regulations for relevant or equivalent qualifications we may accept. Once you've applied online, you'll be invited to attend a Selection Day where we'll take you through the rest of the application process. Please note this includes consenting to a safety check which meets the requirements of the Vulnerable Children Regulations 2015. We'll tell you what documentation you need to bring with you. Inequality (CSTU5162) 15 credits (0.125 EFTS) This course introduces students to various forms of inequality within Aotearoa and internationally. Students will identify some ways in which social practitioners can work for change. The place of social justice principles within the ethics and values of professional social practice will be identified. Fields of Practice (CSTU5163) 15 credits (0.125 EFTS) This course provides an introduction to the identity, values and practices of social practice with a focus on the major fields of practice. It will consider the major features of each field of practice including key knowledge required, approaches to practice, and issues facing practitioners in that field. Whanau/Family and Social Practice (CSTU5165) 15 credits (0.125 EFTS) This course introduces students to the form and function of whanau and families in Aotearoa New Zealand society, as well as exploring the nature of the forces shaping family in the contemporary context, including intersecting issues of gender, class, ethnicity, sexuality, religion and disability. The student will have opportunities to apply this analysis to their own family context, and will be introduced to specific issues around children and youth. Foundations of Social Practice (CSTU5166) 15 credits (0.125 EFTS) This course introduces students to three principal approaches to social practice and to the theoretical framework of narrative practice within the context of a bicultural Aotearoa. The course will enable them to acquire a basic experiential introduction to effective relationship skills when working with individuals and groups in diverse practice environments; and develop student reflexivity around awareness of their own personal history, bias and values and how this impacts on practice. Students will have opportunities to extend and demonstrate core academic literacy skills. Ripene Tahi (CSTU5167) 15 credits (0.125 EFTS) To introduce students to basic te reo Maori (Maori language), tikanga Maori (cultural values and protocols), and to explore the implications of Te Tiriti o Waitangi in relation to the historic and contemporary cultural and socio-economic development of Maori. Talanoa Pasifika (CSTU5168) 15 credits (0.125 EFTS) This course introduces students to Pasifika approaches to social practices by exploring the development of Pasifika communities in Aotearoa. This will enable students to negotiate a mutually beneficial relationship of partnership and collaboration with Pasifika Peoples, particularly when working with Pasifika communities. Concepts of Psychology (CSTU5169) 15.0 credits (0.125 EFTS) This course will provide foundation-level knowledge in psychology. The course gives students a grounding in the psychology of social behaviour, working in groups, human development, memory, cognition and learning and their motivational and neuropsychological concomitants in relation to different cultural contexts. Introduction to Sociology and Community Development (CSTU5170) 15.0 credits (0.125 EFTS) The aim of this course is to introduce students to sociological theory which will enable them to explore the nature and effect of international and New Zealand social, economic, and political structures. Students will also develop an understanding of community development theory and practice. Enquiry and Communication (CSTU5171) 15.0 credits (0.125 EFTS) This course introduces the principles of communication, knowledge construction, and academic literacy & develops scholarly skills in preparation for academic and professional practice. Risk Assessment (CSTU6231) 15 credits (0.125 EFTS) This course prepares students for social practice in high risk areas. It explores an ecological approach to the concepts of risk assessment and risk management as well as addressing principles of safe practice within the context of bicultural Aotearoa/ New Zealand. Advocacy (CSTU6232) 15 credits (0.125 EFTS) This course develops understanding of concepts of social justice and human rights and knowledge of relevant law, and introduces advocacy skills for social practitioners working with individuals and with groups, with particular reference to the place of Te Tiriti O Waitangi and the United Nation’s Declaration on the Rights of indigenous People. Discourses of Social Practice (CSTU6233) 15 credits (0.125 EFTS) This course provides students with an experiential introduction to key approaches currently dominant within Social Practice and an opportunity to compare, contrast and differentiate the social and cultural construction of these approaches. Professional Practice (CSTU6234) 15 credits (0.125 EFTS) This course offers an introductory overview of professional practice skills knowledge and values focusing on preparing for practice. It will enable students to develop beginning practice skills, including reflective exploration of self, client centred assessment and documentation, with attention to developing an understanding of the emotional components of social practice. It will enable students to critically discuss the place of ethics and supervision in safe and effective social practice. Development of knowledge, skills, values and attitudes essential for effective practice is the main purpose of the course. The aim is for students to gain the skills and self-awareness they need to go into their first fieldwork practicum. Community Development (CSTU6236) 15 credits (0.125 EFTS) This course provides students with a theoretical understanding of community development. It explores the history and development of the discipline, contemporary theory, and the context and practice of community development today. The course builds on these theoretical perspectives to offer students a range of practical skills useful in community development work. Child Protection Studies (CSTU6237) 15 credits (0.125 EFTS) This course equips students with a contextual understanding of the contemporary challenges and opportunities related to Child Protection in Aotearoa / New Zealand, with specific reference to policy parameters, organisational issues, theoretical influences, and the processes, skills, and knowledge required for safe and creative practice. Social Practice in Action (CSTU7913) 15 credits (0.125 EFTS) This course enables students to develop collaborative practice skills for diverse social practice environments, including working in bicultural environments and with Maori and further integrate collaborative values, knowledges, skills, and attitudes including risk assessment and safe practice. Social Policy (CSTU7914) 15 credits (0.125 EFTS) This course enables students to critically explore aspects of political ideology, social policy and the law relevant to contemporary social practice in Aotearoa New Zealand. Research Methods (CSTU7917) 15 credits (0.125 EFTS) This course enables students to explore an area of interest for the literature and to participate in the development and implementation a research project of relevance to social practice. Issues of cultural competence and kaupapa Maori research perspectives and processes contribute to all learning outcomes. CSTU7919 Research Practicum runs alongside this course and the first three learning objectives are achieved during Research Methods, and last two within Research Practicum. Research Practicum (CSTU7919) 15 credits (0.125 EFTS) This course provides an opportunity to undertake a research project of the student?s choosing and of relevance to the social practice. Note that this course is designed as a group project with students working in groups of 2-4 people. This research practicum is conducted alongside CSTU 7917 Research Methods therefore on completion of both courses; students will have achieved all of the learning outcomes The first two learning outcomes are achieved while doing Research Methods..
Advanced Social Practice Theory (CSTU7923) 15 credits (0.125 EFTS) The course provides an advanced critical study of the principles and the theoretical basis for social practice. Emphasis is placed on the knowledge base relevant to the practice of social work, namely conceptual explorations, research practice principles, models of intervention and current issues in theory and practice. Social Practice Practicum 2 (CSTU7924) 45 credits (0.375 EFTS) This course provides students with an opportunity to engage in social practice and integrate their theoretical and skills learning within the constraints of an agency and to practice the day-to-day skills of social practice. Management and Organisational Change (CSTU7925) 15 credits (0.125 EFTS) This course provides an opportunity for students to become familiar with and critically examine the historical development of a variety of contemporary management theories and practices that includes both organisational culture and change. Students will acquire technical and theoretical knowledge about leadership and management skills that are relevant to work within the various sectors of social practice. Just Practice (CSTU7926) 15 credits (0.125 EFTS) This course provides students with an opportunity to develop critical awareness and skills in social practice that will enhance social justice and social change. It involves interaction with advanced practitioners from the field of Social Practice. Students have the opportunity to reflect on the experience of these practitioners and through collaboration develop strategies to develop their own models of just practice. Te Tiriti o Waitangi and Social Practice in Aotearoa/New Zealand (CSTU7986) 15 credits (0.125 EFTS) This course seeks to shed light on the relationship between Te Tiriti and social practice. Participants will engage with Kaupapa M?ori and Tauiwi discourses to raise a critical discussion about partnership responsibilities. Te Reo - Rua (MAOR5010) 15.0 credits (0.125 EFTS) To develop competencies in speaking, writing, comprehension, structure and the application of te reo Maori me ona tikanga in a variety of settings. Gender Studies (CSTU6235) 15 credits (0.125 EFTS) This course critically reflects on the implications of theoretical perspectives from gender studies and feminism for social practice with individuals, families, groups, taking into consideration cultural roles, gendered roles, and questions of equity and equality. Disabilities and Mental Health (CSTU6238) 15 credits (0.125 EFTS) This course provides students with an overview of the theoretical approaches around treatment, causation, rehabilitation and therapy, assessment processes, and values and societal issues with regard to disability, mental illness and substance abuse. Skills in establishing equitable relationships with people with a disability and in assessment of substance abuse and mental health issues will be developed. Creative Social Practice (CSTU6239) 15 credits (0.125 EFTS) This course explores creative ways of working in a range of social practice settings, including within te ao Maori. It addresses possible ways of unleashing a creative potential in practitioners and explores ways of helping clients to access their own creativity. Negotiated Study (CSTU6241) 15 credits (0.125 EFTS) This course provides the opportunity for students to develop capability in a topic of personal interest relevant to the field of social practice. Family Violence Studies (CSTU6242) 15 credits (0.125 EFTS) This course introduces students to a range of analyses of and advocacy skills for working with domestic and family violence, with an emphasis on the interaction between culture, gender and domestic violence and the power and control paradigm. 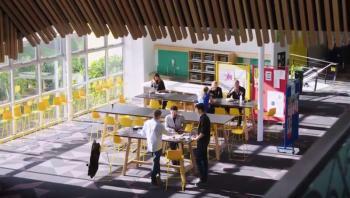 Tauhokai Waiora (HSDV6241) 15 credits (0.125 EFTS) To introduce students to Waiora Maori, and priorities and practices related to health, well-being and social development within the community as they apply to professional contexts. Growing Our Youth (HSDV6248) 15 credits (0.125 EFTS) In this course students become familiar with the processes of identifying and responding to the strengths and needs of young people in a range of contexts, including cultural contexts. Students will be able to critically engage with these processes in order to support positive development and encourage active participation. Introduction to Counselling (CSTU7918) 15 credits (0.125 EFTS) This course enables students to develop an experiential and theoretical understanding of the philosophy and skills of collaborative practices. Students will develop practical skills and responses to a range of client issues. Bi-cultural and ethical issues are an essential component of this course. 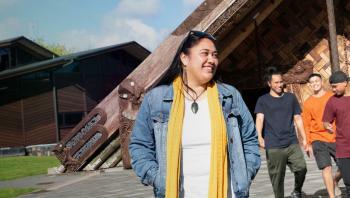 Students will experience a marae Noho on the Unitec marae. Counselling in Action (CSTU7927) 15 credits (0.125 EFTS) This course enables students to develop competence and an understanding of collaborative counselling skills through evaluation and critical critique. Special Topic (CSTU7946) 15 credits (0.125 EFTS) To develop capability in a nominated topic in the field of social practice. Waiora o nga Rangatahi (HSDV7347) 15 credits (0.125 EFTS) This course enables students to critically engage with models of youth development from a Maori perspective and examine health and wellbeing outcomes while utilising a racial lens in relation to their practice. Research Question (CISC8002) 15.0 credits (0.125 EFTS) Enable a student to engage industry and community relevant to discipline and then begin to create feasible and well-defined research questions as well as determine the most appropriate research method or range of methods to address these research questions. 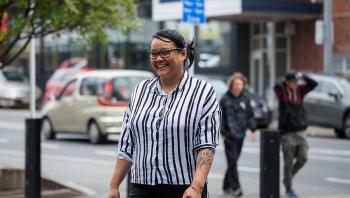 Making the decision to become a qualified social worker has done more than just prepare Leastra Davis, 38, for a rewarding career – it’s helped her overcome traumatic personal experiences.